Perfect for Animators and Storyboard Artist! 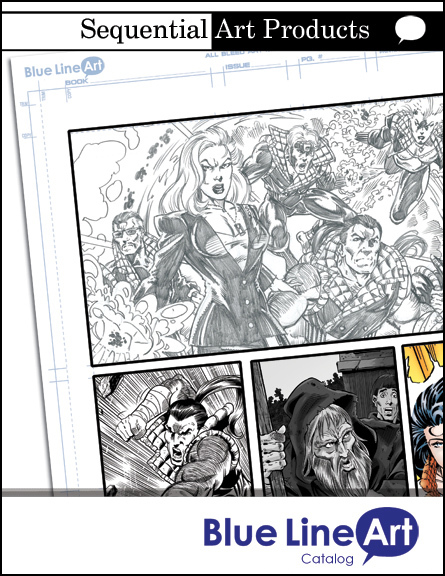 Blue Line Art’s Storyboard Frames offers animators and storyboard illustrators a quick and easy way to show movement and sequences of a story or animation. 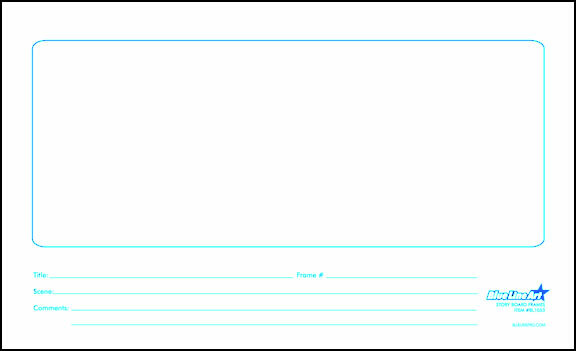 Animation Storyboards have one large panel with lines below project and scene information and artist credits. 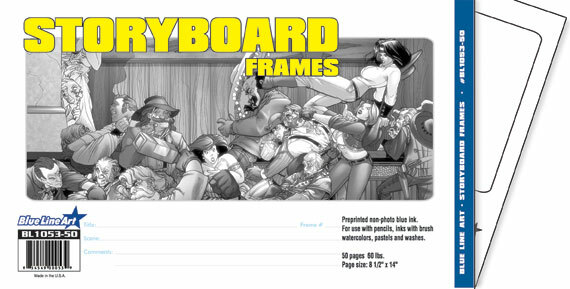 Storyboard Frames 50 sheets of 60 lb. 8 1/2 x 14 pages with 1 panels with colored cover. Attention animators and storyboard artist! BLA have the product for you. 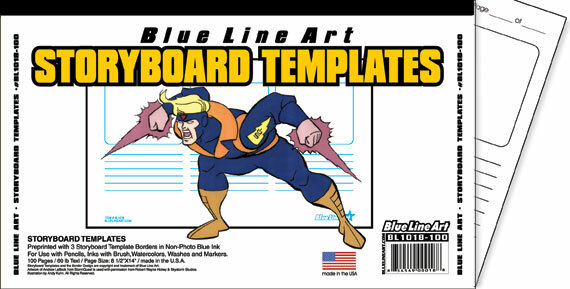 Blue Line Art Storyboard Templates offer animators and writers a quick and easy way to show movement and sequences of a story of animation. There are three large panels with lines below each for detailed art and descriptive storytelling. 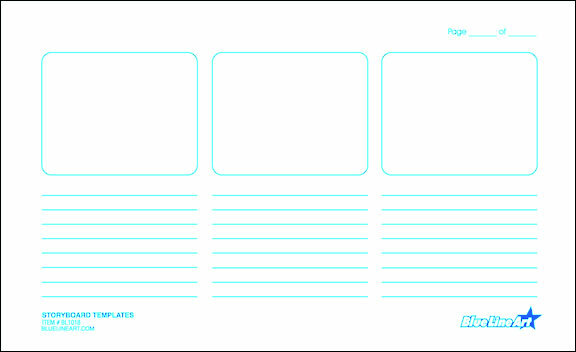 Storyboard Templates 100 sheets of 60 lb. pages (8½ x 14) with 3 panels bagged with colored cover.